What kind of battle for Democrats in 2008? Referendum on future of the party, or magnifying minor differences? 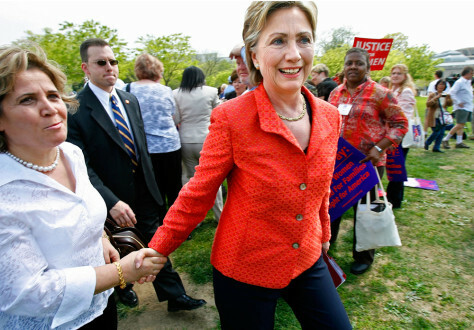 Democratic presidential hopeful Hillary Clinton, D-N.Y., shakes hands with people attending an equal-pay-for-women rally on the West Lawn of the Capitol on Tuesday.